You've propably heard the the old mantra about what to look for in real estate. It matters where you locate (or relocate), but it matters for different reasons today than it did even a decade ago. We are sowing the seeds to make sure Terre Haute is prominent on the map for your business. 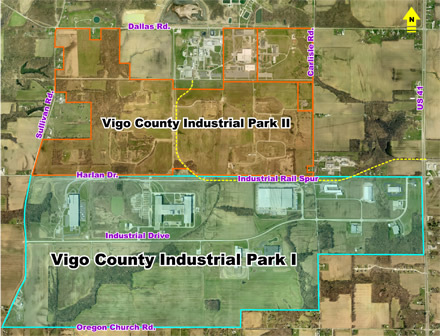 The Hoosier Jack Mega Site consists of over 10,000 contiguous acres in the sothwestern Vigo County and northeastern Sullivan County. The entire parcel is owned by one entity. The property was a former Black Beauty (Peabody Coal) surface coal mining operation. The property is a combination of reclaimed surface property and undisturbed acreage. Given the immense size of the Hoosier Jack, depicted is a 2,100 acre subset parcel. It's estimated there should be 1,000 contiguous, undisturbed/buildable acres within this subset, mostly on the west side which is borderd by CSX mainline. A connecting track runs through the center of the subset parcel and is owned by the property owner. 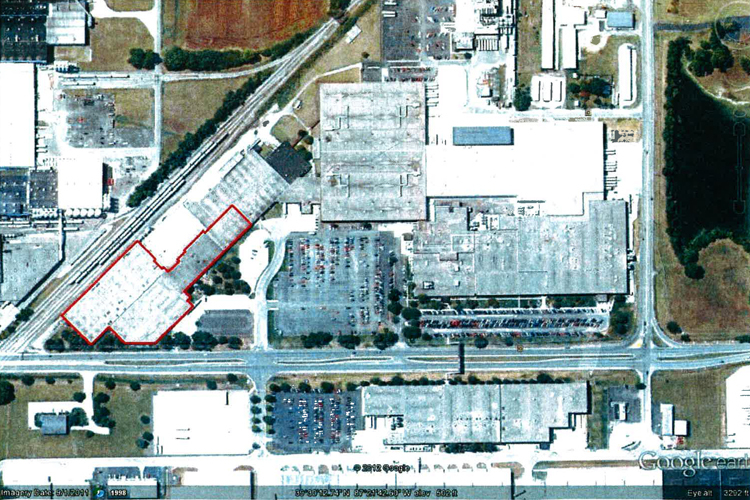 Located within the city proper, this 80-acre greenfield is bordered on two sides with several thousand feet of rail. Adjacent to the Fort Harrison Industrial Park, the site is zoned for M-2 Heavy Industry. The property is available as a design/build construction package. The 44 acre greenfield site is owned by, and is part of the Terre Haute Regional Airport (HUF). The site completed Duke Energy's Site Readiness Program in partnership with McCullum & Sweeney Consulting. FAA approval is required prior to building on the site. Access to the property is via U.S. Highway 42 and is 4 miles from Interstate Highway 70. HUF is the 4th busiest airport in the state for operations with its 9,020 foot runway, which handles the largest military and civilian aircraft. HUF is positioned in a TIF District (Tax Increment Finance). FTZ (Foreign Trade Zone) benefits are available via INzone.